Disabled persons are entering the workforce as overall unemployment rates drop and companies consider an expanded pool of potential job applicants for entry-level and essential positions. Persons with disabilities have long been sidelined and unable to find employment, due in part to stigma and from an inability to perform tasks as quickly or accurately as their able-bodied peers. That trend has steadily changed since 2011, marking a significant change in the makeup of the American labor force. A tight economy with an extremely low unemployment rate is benefiting all workers, but especially workers with disabilities, The Wall Street Journal reported Saturday. The unemployment rate in the U.S. is currently 3.9 percent, the lowest reported rate since 1969, according to WSJ. Those unemployment numbers have allowed a large swath of disabled persons to seek and find work. The monthly rate of unemployment for disabled persons fell nearly 5 percent between 2014 and 2018, according to data from the Labor Department. Unemployment rates for both disabled and non-disabled persons have dropped significantly since 2011, tracking similarly, the data reveal. The unemployment rate for the disabled is dropping more precipitously than the rate for able-bodied persons, according to WSJ. The number of U.S. workers applying for and receiving federal disability benefits is also dropping as employment rates for disabled persons increase. “This is really quite a dramatic turnaround,” said Harvard Medical School economist Nicole Maestas, WSJ reported. “Employment among people with disabilities had been declining for a really long time — now it’s not. And it’s not transitory. It’s been increasing for a few years,” Maestas added. A dearth of Social Security disability benefits granted to applicants has also pushed disabled persons to seek employment. “A smaller share of people are getting on the program, and that is causing people to not apply and instead to seek alternatives,” Massachusetts Institute of Technology economist David Autor said, according to WSJ. As the marketplace continues to grow, companies are increasingly needing workers to fill entry-level positions that other more qualified able-bodied persons won’t apply for. “For many of our entry-level positions, there’s not enough people going into those roles,” said Jill Day, a senior talent acquisition leader, WSJ reported. “There’s an enormous number of people with disabilities who are hungry to work and want to contribute,” Day said. “In a tight labor market, employers who usually might not hire some of these people are reaching [deeper] in the queue,” Georgetown University professor Harry Holzer said, according to USA Today. 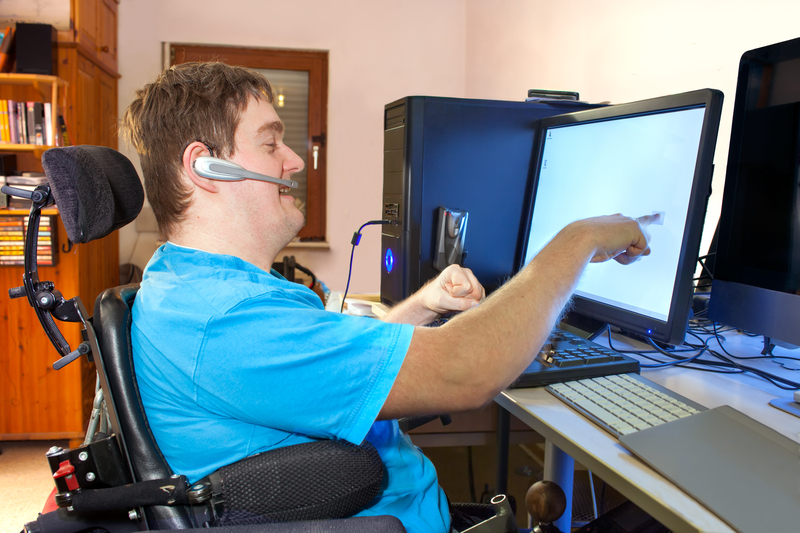 Disabled persons are also more likely to be self-employed than able-bodied workers, according to Labor Department data. Black people, Latinos and those without a college education are also increasingly finding work, according to WSJ.